Tekin, Beyza Ç. , " Düzensiz Göçün Yönetimi Konusunda Varılan Türkiye- AB Mütabakatının Avrupa Birliği’nin Uluslararası Kimliği Üzerindeki Etkileri", Marmara Üniversitesi İktisadi ve İdari Bilimler Dergisi, 39(2), 57-80, (2017). Tekin, Beyza Ç. , "Rethinking the Post-National EU in Times of Austerity and Crisis", Mediterranean Politics, Vol. 19(1), 21-39, (2014). Tekin, Beyza Ç. , "Is the European Union a Normative Power? A Reappraisal following the Eurozone Crisis", Marmara Üniversitesi İktisadi ve İdari Bilimler Dergisi, Vol. 36(2), 327-348, (2014). Tekin, Beyza Çağatay , "The construction of Turkey's possible EU membership in French political discourse", Discourse & Society, 19(6), 727-763, (2008). Tekin, Beyza Ç & Danış, Didem. (Eds. ), " Visions croisées autour des frontières européennes : mobilité, sécurité et frontières", Istanbul, Editions de l’Université Galatasaray, , (2017). Tekin, Beyza Ç. & Rıfat Barış Tekin, "The Limits, Dilemmas, and Paradoxes of Turkish Foreign Policy: A Political Economy Perspective", London, LSE Research on South Eastern Europe, LSEE, , (2015). Tekin, Beyza Ç. & Rıfat Barış Tekin, "Political Economy of European Mobilizations: Why Did the Anti-Austerity Movements Fail? ", Waves of Social Movement Mobilizations in the Twenty-First Century: Challenges to the Neo-Liberal World Order and Democracy, (eds.) N. Konak and R. Ö. Dönmez, New York: Lexington Books, 129- 150, (2015). Tekin, Beyza Ç. & Rıfat Barış Tekin, "AKP Dönemi Türk Dış Politikasının Ekonomi Politiği: Neo-liberal Dönüşüm Bağlamında bir Değerlendirme", Türkiye’de Politik Değişim ve Türk Dış Politikası: Neo-Osmanlıcılığın Sosyo-Politiği, (der.) 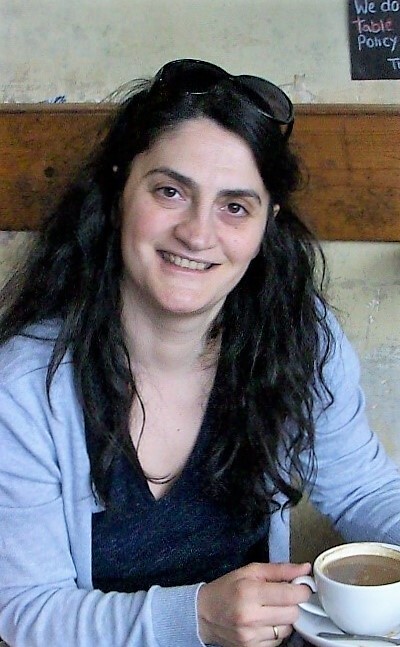 Rasim Özgür Dönmez, , Bursa: Dora Yayıncılık, 35-77, (2014). Tekin, Beyza Ç. , "Human Rights as a Security Challenge: An Examination of Turkish Nationalist Discourse on Minority Rights Reforms", Nationalism and Human Rights, In Theory and Practice in the Middle East, Central Europe, and Asia-Pacific Pacific (Ed. ), Grace Cheng , New York: Palgrave Macmillan, 21- 45, (2012). Tekin, Beyza Ç. , "The Turkish Self and Non-Muslim Other (s): Parliamentary Discourse on Ethnic and Religious Difference", Making Strangers: Issues of the Other in the Sphere of Identity, (Ed.) Don Domonkos, Oxford: Inter-Disciplinary Press, 103-123, (2012). Tekin, Beyza Ç., "Representations and Othering in Discourse. The construction of Turkey in the EU context", Amsterdam, John Benjamins Publishing, , (2010). Tekin, Beyza Ç. , "The Migrant Crisis and the EU's Normative Power", , Europe and Refugees: Policy and Practice, Instituto de Historia Contemporena International Conference, Lisbon , , (2016). Tekin, Beyza Ç. , "Is the EU A Normative Power of Cosmopolitan Nature? A Reappraisal in the Midst of Crises ", 7th Annual International Conference on Mediterranean Studies, Greece- Athens, , (2014). Tekin, Beyza Ç., "Re-Negotiating European Identity During Times of Crisis. ", Paper presented at the ECPR Sixth Pan-European Conference on EU Politics, Tampere, Finland. , , (2012).